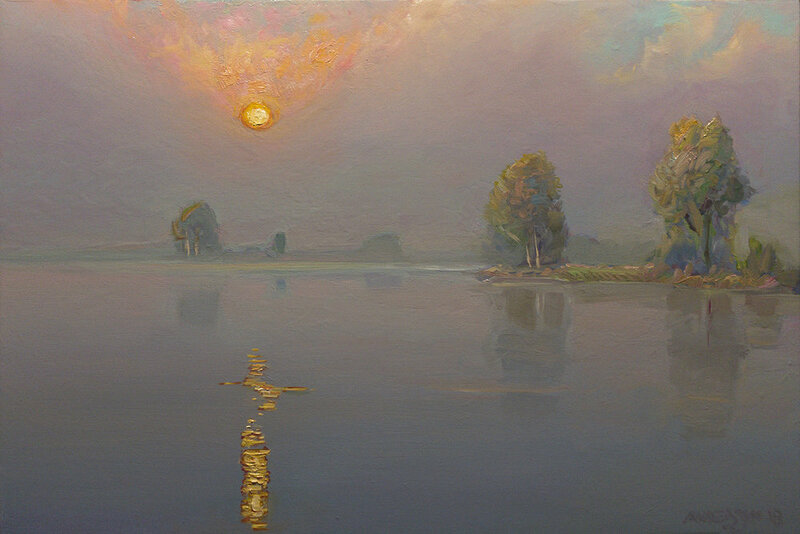 Transcribing the nuances of summer morning light from the Connecticut Shoreline, I still had it in me to emulate what I saw and felt, in a painting, the effects of atmosphere, land, water, reflection, and luminosity - with the backdrop of a gentle Connecticut River. I could see, firsthand, what the Hudson River School artists attempted to harness with the optical effects displayed before them. 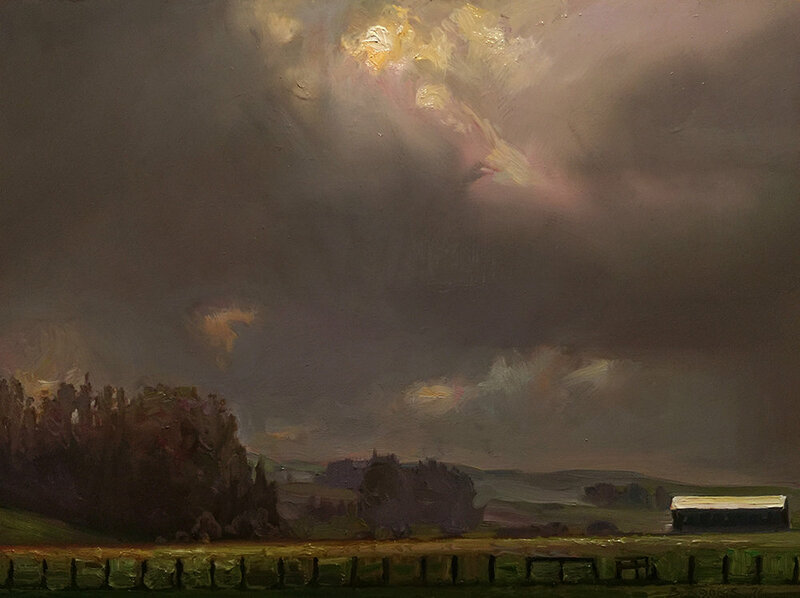 “Tonalism” was an artistic style that emerged in the 1880s when American artists began to paint landscape forms with an overall tone of colored atmosphere or mist. Between 1880 and 1915, dark, neutral hues such as gray, brown or blue, often dominated compositions by artists associated with the style. 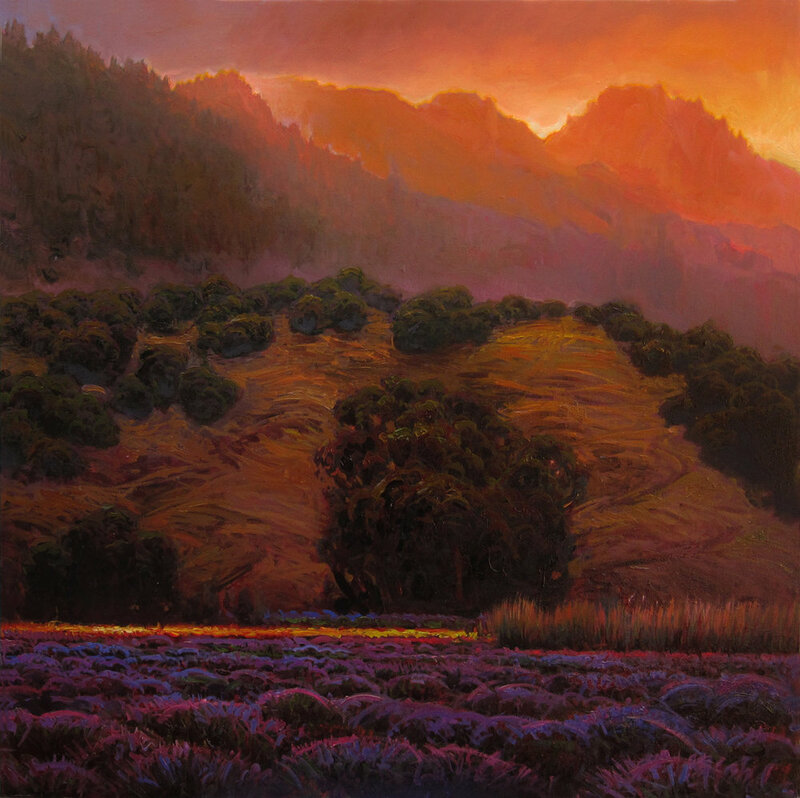 I would say this would be a “Tonalist” piece: evocative, emotive, lyrical — juxtaposed with a northern California backdrop. Compare this painting to one of my “Reemergence” Abstracts. No difference, other than the subject. Sometimes the main ingredients come together in a painting. 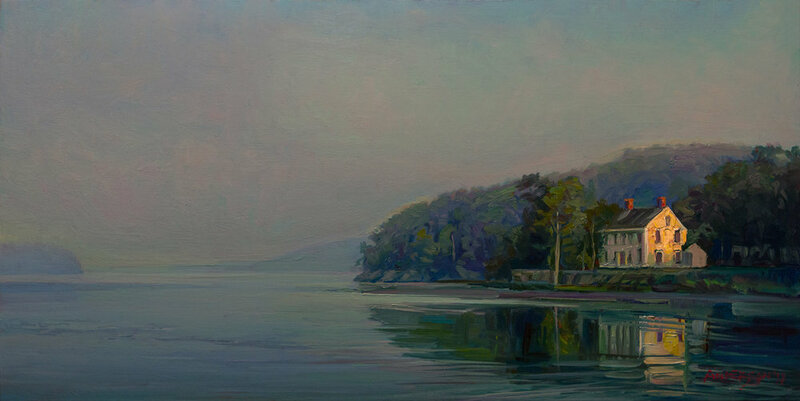 I love “push and pull” in a landscape (in an abstract, too, as a matter of fact), or “tension and release” — where there are areas in a composition that garner bunched up energy and focus (as on the left of this painting, where the bay laurel trees have gathered, leaving the majority of the “quiet” areas of the horizontal hillsides to balance that energy out. Then there is the beauty of the disappearing golden light of the sun off to the right in this western Marin County playing off the cool-colored pine ridges. Inspired by the Dutch Landscape School of the 17th Century Jacob van Ruisdael in particular), I went for a soft and haunting light, lyrical movement, a captivating, emotive quality to the painting. This is my return to painting the Two Rock Valley area of northern California, made famous by Christo and his "Running Fence" forty years ago. 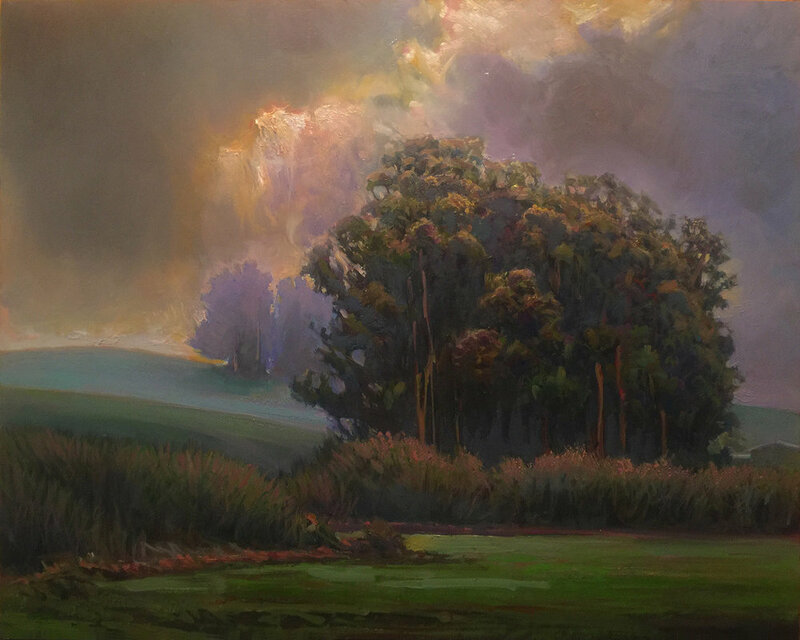 I have, in years previous, painted this magical area, often venturing out, with camera in hand, among the pastureland and stands of eucalyptus trees during a downpour. This particular tree stand is one of my favorite subjects. What a joy to paint this piece of the famed Mendocino Coast. I couldn’t wait to attack it — gently and with sensitivity, to its unique light and sinuous consistency in shape and structure. The long, horizontal narrative bespeaks the sweeping, luminous coastline from Northern California. The receding fog lifts its nightly veil to unfold a magical area and moment in time. It’s funny that certain places captivate you...for whatever reason. I keep going back to this estuary from Hingham on the south shore of Boston. Maybe it’s the composition, or maybe it’s the right vehicle for painting something timeless. Maybe it’s my new love of some beautiful things that happen to be in New England.